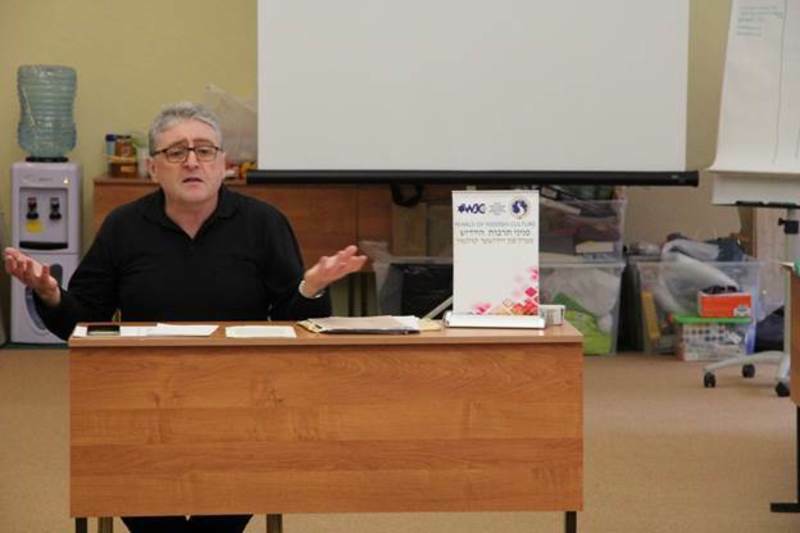 On January 29, 2019 the academic director of the International Yiddish Center at the World Jewish Congress, Dr. Mordechay Yushkovsky provided a public lecture in the Israeli city of Rishon LeZion. The talk „Genre of satire in Yiddish literature" was attended by about 300 people, who overcrowded the local Heichal HaTarbut (Palace of Culture) and once again enjoyed the lively, vibrant manner of Dr. Yushkovsky's speech. The audience has been familiarized with authors, who created satire in Yiddish, such as B. Jeushzon (his true name being Moyshe Yustman), Der Tunkeler (Yossef Tunkel), and Josef Heiblum. The listeners were fascinated by the fact that satire in Yiddish, created 60 – 90 years ago, sounds rather relevant nowadays and helps to take a fresh look at current social events and phenomena.